From the Pastor—Hi Everyone! I don’t know about you but I am glad that spring is only three weeks away. I am tired of trying to locate my car underneath a pile of snow! It’s almost Lent which means that Easter isn’t all that far away. I have been trying to stay positive this winter but all I want to do is binge watch Netflix and hibernate. I think some of you have been taking a similar approach to the snow and cold. However, there are some activities coming up which will get us moving, observing Lent, and serving our community. Hope to see you out and about. I have a hard time with Lent because it always seems to mean deprivation when the wintry weather has me down. This year Lent is late so as we progress into the season (hopefully) the weather will warm up and we’ll see signs of spring. Also, I won’t be giving anything up this year. I am thinking about adding something—more prayer time? More Scripture reading? More kindness to my neighbor? Something like that. Lent is a good time to develop a spiritual discipline that can become a year-round habit. Think about what you would like to do to become closer to God and give it a try these next few weeks. Stay safe and warm. Many blessings! Ash Wednesday: Wednesday, March 6th is Ash Wednesday, the first day of Lent. I will be in the office from noon on for anyone that wants to stop in and get ashes. I will be at Marue Coffee from 2 until 3 PM.At 6 we will have a light supper followed by worship at 6:45. I hope to see you on this important day! Lenten Suppers and Worship: We will have a light supper followed by worship on three Wednesdays during Lent. These will be Ash Wednesday, March 6 as well as March 20th and April 10th. Supper will be at 6 and worship at 6:45. I hope to see a good crowd at these events. Suicide Prevention Presentation: All kinds of things contribute to depression—finances, relationships, drug addiction, even the weather! Unfortunately, sometimes depression leads to self-harm and attempted suicide. This has been an important issue in our community—so many people have lost loved ones to suicide. Find out what you can do to help. Susan Springer Judd, expert on rural suicide and prevention, will speak on the topic “Finding Hope”, at the Barneveld UCC church, March 23rd, 7 to 8 PM. Please tell your friends, family, and neighbors. Let’s help the most vulnerable among us to stay safe and choose to live their lives. Fellowship and refreshments will follow. Holy Week Schedule: We will have worship on Maundy Thursday, April 18, 7 PM. This will include Communion. There will be an ecumenical Good Friday service at the Lutheran church at noon on April 19. The three Barneveld churches will participate. Community Clothes Closet: This week we will take up a collection for the Community Clothes Closet in Mt. Horeb. We help to pay their rent and other expenses and provide volunteers. Jesus told us that when we clothe the naked, we are caring directly for him. This is a way to serve God’s people in need. Facebook: Remember to like us on Facebook. Share our pictures and posts. If you take a great picture, send it to Carolyn or Jill Carmody so it can get posted. We have a charming church filled with nice people. Let’s don’t keep it a secret! March 6: Ash Wednesday supper and worship, 6 and 6:45 PM. Ashes available starting at noon. March 20: Supper and worship, 6 and 6:45 PM. March 23: Suicide Prevention Presentation, 7 to 8 PM followed by fellowship. April 10: Supper and worship, 6 and 6:45 PM. April 18: Maundy Thursday service 7 PM. April 19: Good Friday service, noon, Barneveld Lutheran Church. April 21: Easter Sunday, worship at 9 AM. Hello Everyone—Advent is here, a busy time of waiting. This is an active time for the church. We have a lot going on and I hope you participate in something—worship, charitable giving, a concert, or a family-friendly evening. If you haven’t been to church in a while, come back to see your friends, the decorated building, and perhaps reconnect with God. This is a time for waiting. We wait for Christmas and all the promises of the Christ child. We wait for God to heal the world. We wait for the Lord to return in glory. I know I get impatient. I want everything to be fixed right now. I want the world to be better right now. However, the Lord doesn’t take orders from me, the world will be reconciled to God in God’s own good time. In the meantime, we put up our trees, buy presents, make donations, and sing praises to the baby in a manger. We get ready to see family and friends. We pray. It’s a good use for a time of anticipation. I’ll wait. Spectacular Spectacular: Tonight, December 1, is the night. Wonderful music will fill the air at the Barneveld Lutheran Church. All donations will benefit the Community Clinic in Dodgeville. See a great show; hear some splendid music; benefit a worthy cause. It will be a night to remember! Dale Kitchell will lend his beautiful voice to worship on Sunday morning. Barneveld Area Community Band: The Community Band has their Christmas concert at the Lutheran Church, 4 PM Sunday, December 2. Several members and friends of our church are in this band. They always do a great job. Admission is free. Come check it out! Advent Wednesday Evenings: Mark your calendars for the December 5, 12, and 19. These are the evenings will get together for supper and fun. December 5th is games night. Bring cards or your favorite board game. Bring the kids. We’ll gather at 6 and be finished by 7:30. This should be a good time for all ages. December 12 we will make Christmas cards (discover your inner artist!). December 19 we will decorate cookies. This is a time to invite friends and relax with your church family. Christmas Pageant: The Kids’ Christmas Pageant is scheduled for December 16th during worship. Come see what our young people are up to! Thanks to our Sunday school teachers for their hard work on this. Christmas Worship Services: There will be two Christmas services this year. The Christmas Eve candlelight service will be December 24 at 5:30. The focus will be on lessons and carols. We will also have a Christmas Day service at 10 AM, December 25. This will be shorter than our regular worship service. I know Christmas Eve is a busy time. If you are having family over for dinner on the 24th, please try to make Christmas Day. If there is a lot of present opening and gifts from Santa on Christmas morning, please try to make the evening service. Whatever your schedule, please make time for church! Church Decorating: Thanks to the Rottinger and Rankin families for donating the tree and decorating the church. Thanks also to Wanda Owens for her years of decorating and care for the church. Everything looks great! Food Pantry: The food pantry needs non-perishable items and funds. 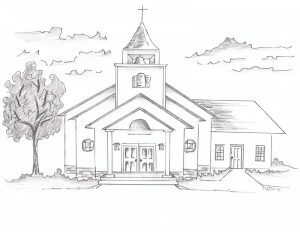 Make checks payable to Barneveld Congregational UCC and write the food pantry in the memo line. This way we get credited in our annual reports for charitable giving. This can be a tough time for struggling families. Thanks for your support of this essential community service.